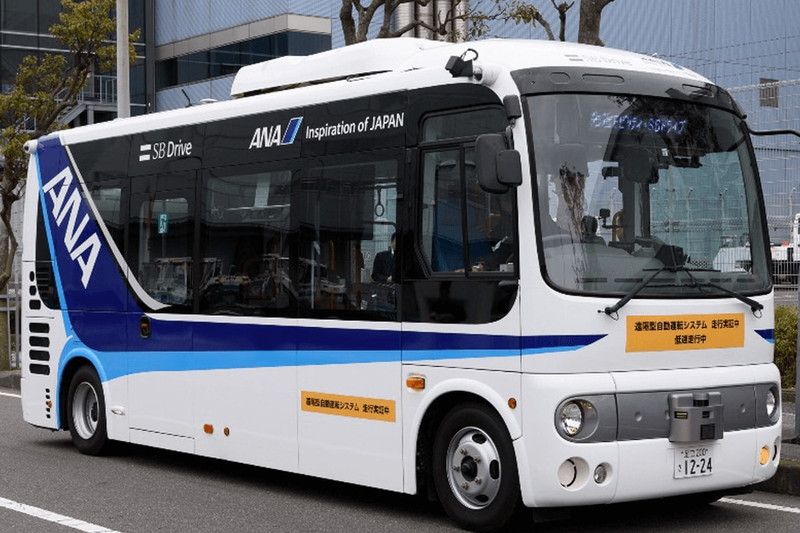 After initial successes, ANA is to begin the second phase of autonomous bus testing with the goal to implement driverless bus technology at Haneda Airport by 2020. ANA is conducting these trials with Aichi Steel, SB Drive Corp., Advanced Smart Mobility Co., Ltd., NIPPO CORPORATION, and NEC Corporation. Together, these companies will begin testing the autonomous bus in a series of trials running through Jan. 25, 2019. The test will be conducted with an autonomous driving technique equivalent to Level 3* and will be limited to the restricted area of Haneda Airport where aircraft and cargo vehicles are located. If these trials are successful, ANA aims to implement the driverless bus technology into the airport by 2020. *Level 3 means that the autonomous system is operating, but when the system is unable to respond correctly, a human driver in the vehicle can take over the driving.